As important as our food is to our society and lives, the sustainability of the ways in which we package food are way more. When we dive into our packets of crisps, or take a sip from bottled water, we are essentially contributing to the continuing rise in demand for disposable plastics, and consequently contributing to many of the environments problems. Oversees, the massive disposal dumps in which we send the majority of our rubbish to, burn extensively toxic gases into our atmosphere, and it continues to happen as long as we keep buying plastic bottles, multi-pack packing of crisps, and plastic bags at supermarkets. Most mainstream and independent supermarkets took to price marking their plastic bags, which helped significantly in reducing our intake of plastic bags. A drop in sale by more than 85% did mean that the demand for these plastics is not required as much, but this does not necessarily mean that we are out of the woods when it comes to sustainability. We are still consuming and demanding a massive amount of plastic, 4.8 million tonnes was processed in the UK and Europe alone, and only around 40% of it was and continues to be recycled. Despite the plastic industry being responsible for over a million jobs, the industry churns out millions of tonnes of plastic that take over 500 years to decompose, most of which is in the waters of the earth. The oceans are littered with over 5 trillion pieces of plastic, and these plastic are exceedingly detrimental to both the ocean floors, sea-life, and us. As pieces of plastic begin to break up and be consumed by sea-life, the species are then toxic and once consumed by humans, and other sea animals, is toxic to them too. This is essentially proof that our extensive use of plastic in a karmic cycle, is potentially killing us. But on a positive note, the plastic bag price addition is one step to reducing more and more plastic ending up in the ocean. And how can we keep going in the right direction? 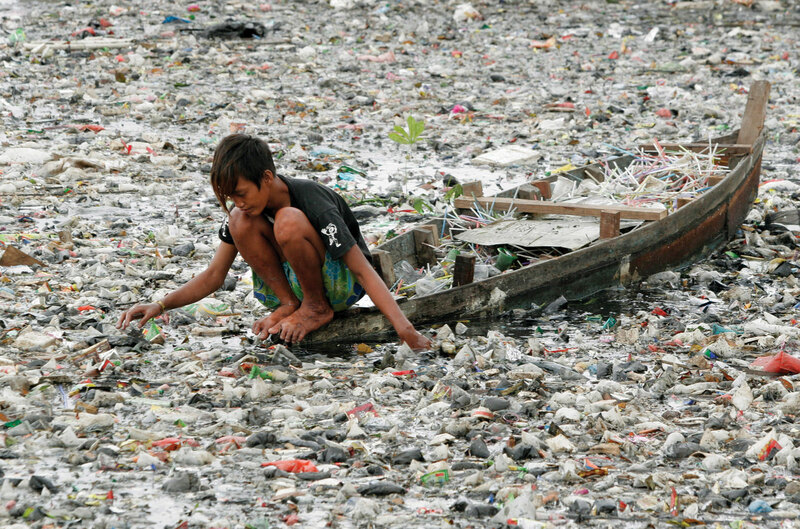 Plastic pretty much rules our social and cultural existence, as it’s all around us. And attempting to reduce plastic intake is softened by the multitude of recycle bins placed around uni. So in addition to this, re-using plastic items, like crisp packets into women waste bins and other items (find the series of how to do it here https://www.youtube.com/watch?v=9dkLTlTPK10 ) and bringing a hard plastic bottle to uni instead of buying one, saves you money and the environment! Other ways in which we can help contribute to less and less plastic waste ending up in the ocean, is to try contacting the local council about what you can do (if you live in a flat/house outside of halls) about recycling bins in your place. Also make it a habit to take your own bag to do your shopping, more comfortable if it’s your own bag! Changing small elements of our food consumption methods can do a vast amount to protect the environment, sea-life, and our survival.